I know, right? Few things in life are more annoying than watching your friend succeed with a diet, while that same diet makes you gain 15 pounds. Your friend is out buying a new little black dress, and you’re out looking for a new belt because the last notch on yours is now too tight. It’s not even the fact that you wanted to smack your friend that has me concerned. You didn’t really smack her, right? So, what’s the big deal? I’m more concerned about diet after diet further convincing a person that they can’t lose weight. How many times have you given up on a diet, only to ask yourself the question, “Does my body just want to be at this weight?” How many more diets before you truly believe that? The good news is that it’s not your fault. The bad news is that it’s probably not the diet’s fault either (Unless you’ve been on the ice cream sandwich diet… in that case, it was totally the diet’s fault). I’m going to share a piece of information with you that is going to change your view on dieting forever. It’s a simple truth, that once you understand, you will never again feel like you are destined to buy bigger pants each year. Here it is: There is no diet that is right for every person. Period. See, I told you it was simple. Why this is true can be a little more complicated, but if you can at least understand this fact, you’ll be moving in the right direction. Understanding this truth can help you see how trying a diet that helped your friend lose weight could result with you beating on your scale with a bottle of shampoo. Most diet plans consist of removing (or at least restricting) certain types of foods or macro-nutrients. One aspect of this process that many overlook is that when you reduce a specific type of food or macro-nutrient, you’re likely going to increase another. The idea, as explained by most diet creators, is that this is a good thing. The problem, as explained by me in this article, is that it’s not always a good thing for every person. Let’s dig into why. The main reason there will NEVER be a diet that is right for every person is that we all process foods differently. Some of us process carbs better than fats, while others have a very hard time processing carbs at all and rely heavily on fats (If you find this hard to believe, consider the fact that there is this a little issue called Type II Diabetes that has been growing out of control. Type II Diabetes is an issue where the cells become resistant to insulin, restricting the ability for the cells to use glucose, resulting in an elevated blood sugar). The reality is that people don’t just go from processing glucose perfectly on Monday to having an inability to burn sugar at all on Tuesday. It’s not an immediate flip. Most people fall some place in the middle, and therefore, no two people likely process sugars the exact same way. Make sense? Beyond the fats and carbs, others may have an inability to digest protein correctly. When that is the case, you can see why putting a person on a low-carb, higher protein diet could be disastrous for these individuals. When you can’t properly break down protein, it can rot and ferment in the system, creating toxins and junk. Instead of providing your body with the protein it needs, you’re now giving the body a burden it has to deal with. To deal with some of this junk, the body may even store this garbage in fat cells in an effort to keep the delicate balance of the bloodstream in check. Let’s look at other digestive issues that can wreck havoc on a variety of dieting efforts. Instead of selecting your diet from the last magazine article you read, you might want to try eating according to what your digestion can handle. It appears that more than half the population is dealing with digestive issues and these folks have no idea that these problems are restricting their ability to properly process certain types of foods. Most people think, “lots of people are bloated after every meal, what’s the big deal?” The big deal is, if you’re dealing with any type of digestive symptoms, those symptoms are telling you that it’s not likely that you’re fully breaking down the food that you’re eating, and you’re not fully assimilating the nutrients that are in those foods. Did you know that the food you eat has to actually be broken down in order for your body to use it? Your body has no use for a peanut butter sandwich. Your body can’t use a peanut butter sandwich as fuel any more than your car can use crude oil to get you across town. But if you can break that peanut butter sandwich down into elemental nutrients (things like amino acids, vitamins, minerals, fats, etc. ), now your body can use it. If you can’t break this food down correctly, it becomes a burden that the body has to deal with. If you’re dealing with any of these issues, they could greatly be restricting any weight loss efforts. Do you now see how any of the above symptoms could cause you to gain weight on a diet that helped your friend lose 30 pounds? Now, let’s be honest. As I listed those symptoms, did you think I was reading from your dating profile? Are you dealing with like half of those symptoms, or even more? If so, putting some effort into better understanding the underlying causes of those symptoms, could be helpful. Better yet, taking steps to correct the underlying causes, could be a life-changing endeavor for you. The digestive process is complicated, but to simplify things for this article, I’m only going to focus on the two major sides of digestion. The acid that is produced in the stomach to help break down our food (stomach acid is also called HCL, or Hydrochloric Acid), and bile flow. Bile is stored in the gallbladder between meals and then dropped down onto the acidic product as it leaves the stomach and enters the duodenum (first few inches of the small intestine). Since bile is alkaline, when it meets with this acid product leaving the stomach, the difference in pHs is huge and the reaction creates a sizzle. It’s this sizzle that fully breaks down our food and helps us pull the nutrients out of what we eat. Without both sides of this process working correctly, we can’t properly process all types of foods. There are many reasons for an individual to be making less than enough HCL. There are also many issues that could cause an individual’s bile to not flow properly. These problems are so common, that if you look at the list of symptoms above, in most cases, each symptom has the ability to lead back to either a lack of HCL, poor bile flow, or both. Some of the symptoms listed above can also be caused by other imbalances in the body. But more often than not, a lack of HCL production, or improper bile flow are at least a contributing factor to all those symptoms. If you’re dealing with any of these symptoms, we can show you where to go to learn how to improve them in a bit. For now, let’s look at how some of these problems can affect your dieting results. As we go through a few popular diets, I’ll explain further how digestive issues, or other imbalances, could restrict the effectiveness of these diets for some individuals. We need bile flow to properly process the fats we consume. Bile is used to emulsify dietary fats so we can process those fats correctly. When fats are not properly digested, they can become a burden to the body, and may even be stored in fat cells for safe keeping. This is one of the reasons that improving bile flow can be a very effective step towards weight loss. But back in the 80’s, when low-fat diets were all the craze, and we actually believed this was the healthy thing to do, there were some individuals who saw weight loss success with this approach. If bile is not flowing correctly, and a person can’t emulsify the fats they consume, they could remove that burden by just reducing the amount of fat they consumed. This could result in weight loss. The problem is, the body needs fats for many functions. So when a person restricts their fat intake, the body will eventually start to hold on to any stored fat like it’s money in the bank. 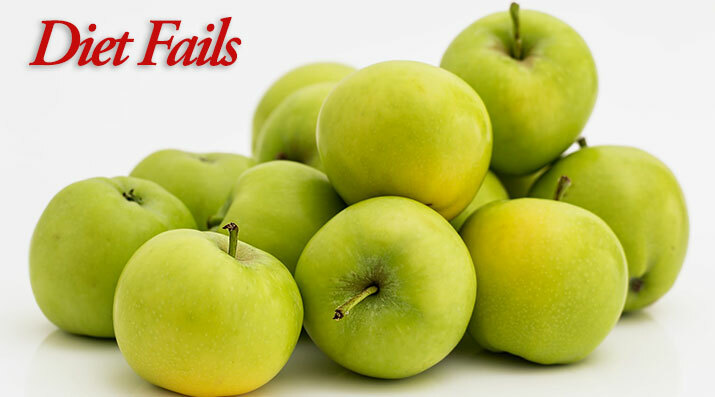 Therefore, in order to drop stored fat, we now know how important it is to consume healthy fats. By giving the body the fats it needs, the body becomes more willing to let go of stored fat. The other problem is that when you decrease fats, you need to increase carbs and/or protein. Since carbs raise insulin levels, and high insulin signals the body to store fat, I’m not a big fan of excessively raising carb intake when weight loss is the goal. And we’ve already discussed the problem of raising protein levels if a person is not producing enough HCL to properly break that protein down. For many reasons that I discuss further in my book, Kick Your Fat in the Nuts, this is my least favorite diet of all. These diets work great when you have horrible goals. If your goal is to lose weight on the scale, yet you have no concern for long-term weight gain or long-term health in any way, this is the diet for you. When you starve yourself on a low-calorie diet, you’re not just losing fat. In most cases, you’re losing muscle as well. In this regard, the scale may tell you that you’ve lost weight, but you still feel like the same bag of mush that you felt like before you started the diet. The loss of muscle will also slow your metabolism and set you up for more weight gain down the road. The main benefit from counting calories is that it makes a person pay attention to what they’re shoving down their gullet every day. It’s amazing to see people start journaling their food only to realize, “Wow, I never noticed I was drinking eleven sodas every day.” Also, a lot of processed junk food is higher in calories than real food. So, to stay in limits, dieters will start eating more real food. This will almost always lead to weight loss. But a low-calorie diet can create weight loss only if a person can access stored fat and burn it for fuel. However, it can be difficult for some individuals to burn stored fat because their bodies are predisposed to burn glucose. This is often determined by the types of foods they are eating, not the caloric content of those foods. There is a big difference between 800 calories of chicken and spinach, and 800 calories of chocolate chip cookies. When poor digestion is restricting the ability for an individual to pull nutrients out of the food they’re eating, you could see how difficult it would be for that body to function very well if the person started to consume much less of that food. That would equate to even fewer needed nutrients coming into the system. Low-carb diets allow people to keep insulin levels down, giving their bodies an opportunity to burn stored fat for fuel. Though I love this plan, not all low-carb diets are created equal. Many of these plans consist of low-carb, processed, junk as a replacement for real food. Many of these ingredients can be viewed as toxins to the body and result in excess junk being stored in fat cells. I always prefer people eat real food over processed food, even if it is low-carb. If you reduce carbs, you need to increase fats and/or protein. If you have digestive issues that are restricting your ability to break down proteins, or emulsify fats, this will be a problem. And if an individual is using carbs as the only source of fuel, they’re gonna snap and go a little bit nuts when you remove their carbs. Like, scream at people in the bank, forget where they live-kind of nuts. You don’t want to see that. Since simple carbs and processed junk are easier to digest (that doesn’t mean they are better for you, they are just easier for the body to break down), if someone has limited digestive capacity, and you remove these foods and replace them with options that are harder to break down, you’re setting this person up for some epic failure. When it comes to what I personally eat, a paleo diet is closer than anything out there. However, I eat that way because it’s what is right for me, not because it’s popular. But a paleo diet removes all those easy-to-digest processed carbs. We see from above how disastrous that can be for those who can’t break down proteins and fats correctly. A paleo diet is not a low-carb diet, but it tends to remove a lot of the typical carbs. In that respect, an individual needs to be able digest correctly to succeed with a paleo diet. I discuss other types of diets, like vegan, vegetarian, and juicing diets in my book as well. But I want to get to the solution so I’m going to skip those here. So What The Hell Do I Eat? Lemons. Only eat lemons. I’m just joking. That would be a horrible idea. The reality is, to take advantage of the benefits that come along with eating right for your specific body chemistry, you first need to understand your specific body chemistry and how your body is operating. Does your body tend to process fats better the carbs? Can you break down protein? Do carbs make you so bloated that people are asking you when your baby is due? It’s important to assess your unique situation. Once you have a base understanding of where you are, you can either take steps to improve digestive malfunctions and imbalances, adjust what you’re eating to accommodate the foods that your body is processing better than others, or do a combination of the two. I tend to like to see people adjust their diet to foods their bodies seem to be processing well at the time, and then take steps to optimize the body’s ability to process a wider variety of foods. I don’t want you to think that this is an overly simplistic process that I can tell you how to do at the end of an article. It’s not. But neither is bouncing from diet to diet, and failure after failure for 20 years at a time. My suggestion is to be willing to do the work to figure out how your body is operating, and understand the steps that will help you and your unique body the most. Our free 2-part podcast episode on Digestive Issues is a great place to start. Better understanding your symptoms, and the likely underlying causes is the first step. 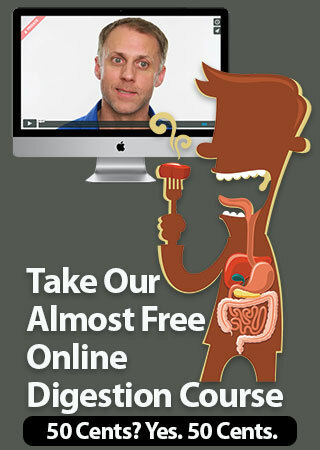 We also have an almost free 4-week online digestion course. We made it as a free course for our book readers, but we charge 50 cents to keep out the spam registrations. 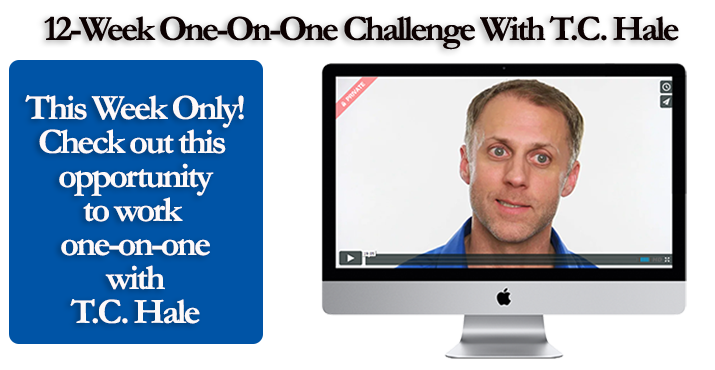 Finally, if you’re ready to jump all in now, we have a 12-week online Kick Your Fat course that you can learn more about here. 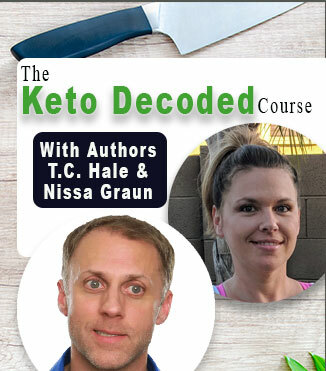 If you’re going to sign up for the Fat Loss course, you don’t need to take the digestion course too because all of that content exists within the Fat Loss course as well, since digestion is such a huge part of creating fat loss. In any case, understanding why those diets didn’t work for you can be a nice relief. Learning that it likely wasn’t your fault, and you really aren’t stuck at your current weight can be nice. You simply need to learn more about how to work with your body, instead of against it. 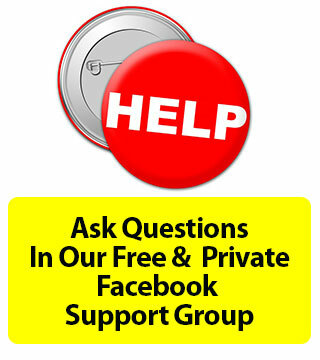 If you get stuck, be sure to join our free and private Facebook support group.